An oldie but a goodie, sea buckthorn oil is seeing a spike in popularity thanks to its rich, aww-inspiring orange hue and abundance of skin-healing essential fatty acids. 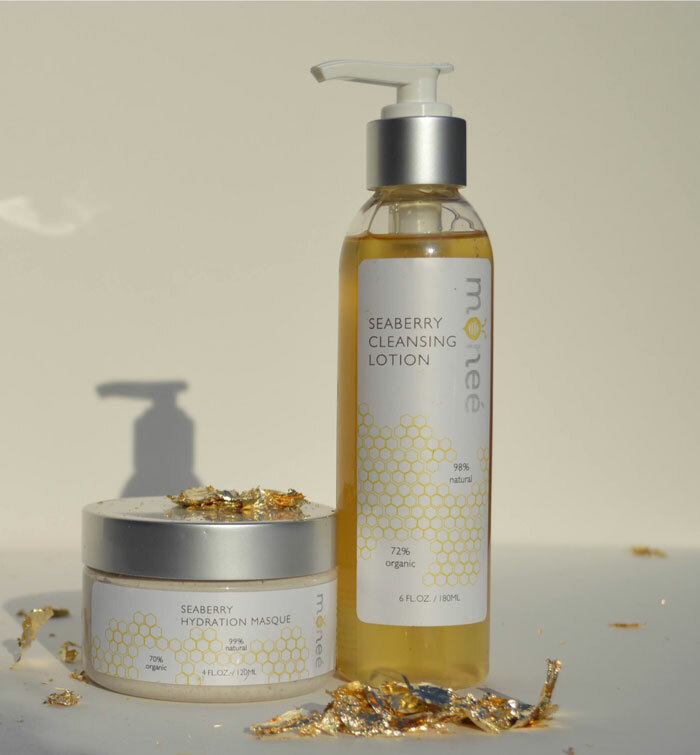 A new natural beauty brand in town, Monee Cosmetics, has bottled up the beauty of sea buckthorn to show just how beautiful this “sea berry” can be for the skin — starting with its popular Seaberry Hydration Masque (which seems to regularly sell out!) and Seaberry Cleansing Lotion. Founder Brittany Brown, an aesthetician-in-training, developed the cruelty-free Monee Cosmetics with delicate, acne-prone skin in mind. Her edited collection include formulations that are 70 percent organic and infused with skin-loving ingredients such as acids, peptides, herbs and oils. The Seaberry Hydration Masque includes an interesting mix of ingredients designed to calm and soothe while deep cleaning and detoxing the skin. Antioxidant-rich blueberry, cranberry heal and protect the skin while cayenne offers a stimulating, detoxifying effect. Also good to note is the inclusion of glycolic acid at just 5 percent to gently exfoliate and reveal brighter, more radiant skin. Peptides and hyaluronic acid plump the skin and deliver moisture at a higher level. The Seaberry Cleansing Lotion is designed for all skin types and includes key ingredients such as vitamins A, C, and E as well as green tea, olive oil and borage oil. In a cleanser. Seriously? We’re talking major ingredient lust here. I didn’t even mention the licorice, rosehip oil, Oregon grape, bayberry, blueberry, raspberry oil, oregano oil … see what I mean? And of course, the star sea buckthorn is in both the mask and cleanser. Priced at $34 for the mask and $30 for the cleanser, Monee Cosmetics brings a host of bottled botanicals to you without breaking the bank. Want to be one of the first to try this new line for free? Two of my readers will win both the mask and cleanser! Use the Rafflecopter widget below to enter the giveaway! Giveaway begins Friday, May 29, 2015, at 12:00 a.m. Central Time, and closes on Friday, June 5, 2015, at 12:00 a.m. Central Time. 3. Giveaway begins Friday, May 29, 2015, at 12:00 a.m. Central Time, and closes on Friday, June 5, 2015, at 12:00 a.m. Central Time.